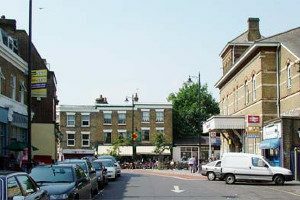 Herne Hill is a district in south London. It lies across the boundary between the boroughs of Lambeth and Southwark. The area is home to Brockell Park, and the Herne Hill Velodrome. Herne Hill can be reached by car via the A23 and A202. Herne Hill is well served by public transport and Herne HIll railway station offers regular trains to London Blackfriars. Lanes School of Driving started giving lessons in 1914. Ever since, Lanes has been teaching locals to drive and over the years has developed a reputation for excellence. Each individual pupil is special at Lanes, and lessons are crafted to meet individual requirements. Lanes offers intensive driving courses to all pupils. Theory can be learnt in conjunction with practical courses or as a separate course. Pupils who pass their test can continue with their instruction by undertaking one of Lanes’ after pass courses. These include: Motorway Driving, Parking Skills, Advanced Driving, or Pass Plus. Lanes allows pupils complete freedom over the scheduling of their lessons. Lessons can be booked on a recurring weekly basis or as single lessons. One on one lessons are offered to each pupil. Lanes is committed to ensuring that our pupils do not have to share their instructors with other pupils. Lanes’ fleet of cars is modern and high-quality. Before each lesson begins, pupils can be collected from their homes by their instructors. The instructors will drop them off after their lesson. Lanes have been providing driving lessons in Herne Hill, London for many years. Please call us today on 020 8166 5678 or click here to send us an email via the contact page. Lanes has over 40 driving instructors within its ranks. Pupils are free to chose the instructor of their liking. Our instructors are thoroughly experienced in teaching all ages from 17 to 70 and over. Nervous pupils will feel instantly reassured in the capable hands of our instructors. All Lanes’ instructors are Approved Driving Instructors registered with the DSA.To ensure an efficient learning process, each pupil will remain with the same instructor for the duration of their course. Lanes have a team of driving instructors in Herne Hill, London. Please call us today on 020 8166 5678 or click here to send us an email via the contact page. Taking a driving lesson for the first time can be daunting. Female drivers are often worried about having to learn in the presence of a male instructor. Lanes offers female driving instructors as an option to its pupils. Our female driving instructors take a very calm and relaxed approach to lessons. They are very good at making their pupils feel relaxed and unpressured. Lanes have a selection of female driving instructors in Herne Hill, London. Please call us today on 020 8166 5678 or click here to send us an email via the contact page. Some students prefer to learn in automatic cars. The advantage of manual cars is that they allow greater driver control. However manual cars can be complicated to drive and for many, automatic cars will be a better option. Not only are automatic cars easier to drive, they are impossible to stall. Pupils will almost always learn faster in an automatic car. Lanes have a selection of automatic driving instructors in Herne Hill, London. Please call us today on 020 8166 5678 or click here to send us an email via the contact page.